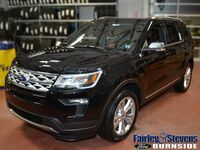 When it comes to amazing features and technologies, the Ford Explorer is a vehicle that offers a ton for you to enjoy, being one of the most iconic vehicles on the market! 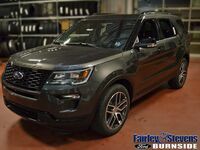 And recently Ford announced their intent to bring out a new version of this vehicle, the new 2020 Ford Explorer! 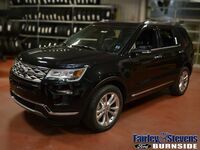 However, we at Fairley & Stevens Ford know that one of the most important questions customers will have is how does this great vehicle compare to its predecessor? We’ll be looking at these two vehicles today and find out which one is the best deal between the two! Continue reading to learn more. 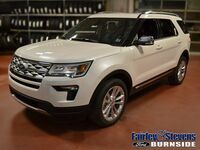 Comparing these two vehicles and their powertrain options, you’ll find that while the 2019 Ford Explorer offered one more engine than its successor, the new 2020 Ford Explorer delivers more overall power. The base engine of the new 2020 Ford Explorer is a 2.3-liter Ecoboost® four-cylinder, which produces 300-horsepower and 310 lb-ft of torque. This is compared to the 280-horsepower found on the 2019 model, delivered by its own 2.3-liter Ecoboost® four-cylinder. The new 2020 Ford Explorer also offers a 3.0liter EcoBoost® V6 engine, which offers 365 horsepower and 380 lb-ft of torque. This allows the new 2020 Ford Explorer to output up to 5,600 lbs of towing power. The new 2020 Ford Explorer might have comparable powertrain levels compared to its predecessor, but it certainly takes the lead when it comes to technology features. It has a ton of technology that comes standard and available, including Apple CarPlay® and Android Auto® features, as well as Amazon Alexa integration. This means that you’ll have amazing connectivity and entertainment options when you drive the new 2020 Ford Explorer! Overall, the new 2020 model has a ton more to offer you compared to its predecessor, making the better deal. To learn more about either of these two vehicles or the current Ford Lineup, contact us at Fairley & Stevens Ford today!